Between school, work, home, and cell phones, it is hard to escape the internet. As society becomes more reliant on the web, the risk of internet addiction increases. For one segment of the population, that is especially true. 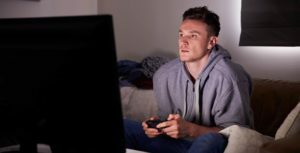 For children and teens with ADHD, the constant stimulation offered by the internet (including social networking sites that are constantly updated and fast-paced video games) offers the perfect outlet. For those with depression, social phobia or hostility, the internet has a therapeutic effect, permitting them to create their own online identity without having to function “normally” in the real world. “If you have a child that is hyperactive, the internet can move at their pace,” Michael Gilbert, a senior fellow at the Center for the Digital Future at the University of Southern California, said in an Oct. 6 HealthDay News article. Children with ADHD have abnormal brain activities associated with impaired inhibition. This lack of self-control may make it difficult for them to control their internet use, making them vulnerable to addiction. However, too much internet use can worsen the symptoms of depression and make depressed teens particularly vulnerable to developing internet addiction. If your child or teen is excessively using the internet to the detriment of grades, family relationships, and emotional health, internet addiction may be to blame. No set definition of the disorder exists, but the diagnosis has been included in the draft edition of the World Health Organization’s (WHO) International Classification of Diseases (ICD-11). Physical symptoms of internet addiction can include headaches, dry eyes, weight loss, neglected personal hygiene, and sleep disturbances. Previous reports have offered widely varied estimates of the extent of internet addiction among youth. Depending on the source, anywhere between 1.4 percent and 18 percent of children and teens are addicted to the internet. Among those teens, a large percentage likely suffers from ADHD, depression, social phobia or hostility. Don’t let the internet take over your teen’s life. If you are worried that your teen has an internet addiction, or undiagnosed ADHD, depression, social phobia or hostility, seek treatment from a licensed therapist today. Ideally, try to seek out a therapist with a special interest and capability in treating internet addiction, as well as its underlying causes.